It has become very easy and simple now to travel from Orlando to Naples by using our shuttle transportation service. Our Orlando to Naples shuttle transportation is one of the most affordable ground transportation services in the Florida State. Also, by utilizing our private city to city transportation; Now you can travel to 40+ cities we serve within the Florida state with pleasure and comfort. Our shuttle transportation service works in all the main towns in the Florida State by the most regularly used highways i-95, i-75, i-4, and Florida Turnpike. Here, you can know about how to travel from Orlando to Naples by using a shuttle transportation service. By using our shared shuttle transit service from Orlando to Naples, you can drive with ultimate convenience and comfort to all the main cities we serve in the West Coast of Florida state at the most reasonable fare. By using our most secure and flexible private shuttle transportation service, you can travel to your desired city anywhere in the state of Florida. Additionally, our private shuttle service lets you choose your own time and place of pick up and drop off. It’s like having your personal chauffeur at your own time. 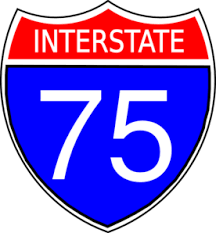 The Interstate 75 is one of the most commonly used highways that almost all ground transportation providers use for their city to city transfers from Orlando to Naples or many other cities in the west coast of Florida state. Our shuttle transportation service from Orlando to Naples runs once a day 7 days a week. Our shuttle departs from Orlando at 05:30 AM and arrives in Naples at around 09:45 AM. On its way to Naples, it also meets Davenport, Lakeland, Brandon, Tampa, St. Petersburg, Bradenton, and Sarasota. Moreover, afternoon shuttle will also available only on special request, OR you can use our private transfers from Orlando to Naples in case if you need to schedule the trip at your own time. You can get in contact with the Orlando to Naples transportation company here.